Russian technology consultants resolved one of the most complex tasks the accommodation of the 9-meter-long missile by altering the configuration of the fuselage. Integration of the air-based version of the BrahMos-A supersonic cruise missile with a fighter jet of the Su-MKI family has been successfully completed in India, an official at Hindustan Aeronautics Limited (HAL) state aircraft manufacturing corporation told TASS on Tuesday. Several key structural changes have been introduced in the missile and the jet over the past seven to six months, including re-distribution of loads on the lifting elements of the aircraft after the bench running. The project’s Managing Director S. Subramanyan told TASS in this connection the Russian side had provided a whole team of technology consultants, who resolved one of the most complex tasks the accommodation of the 9-meter-long missile by altering the configuration of the fuselage. First trial tests that will make it possible to assess the results of more than two years of joint work of Russian and Indian designers will be held in March. Preparations of a second fighter jet for trial testing will begin right after the March test flights. Plans suggest that the works involving it will take about a year. In the future the same pattern will be applied to 42 Su-30MKI jets of the Indian Air Force. 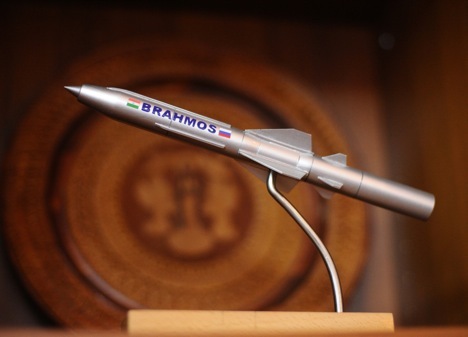 In October 2012, the Indian government’s security committee endorsed allocation of $ 1.1 billion for purchasing 200 BrahMos missiles to be installed on Su-30MKI fighters of the Indian Air Force. To make the integration successful, the weight of the air-based version of the missile was reduced by 500 kilograms and the length, by about 50 centimeters.